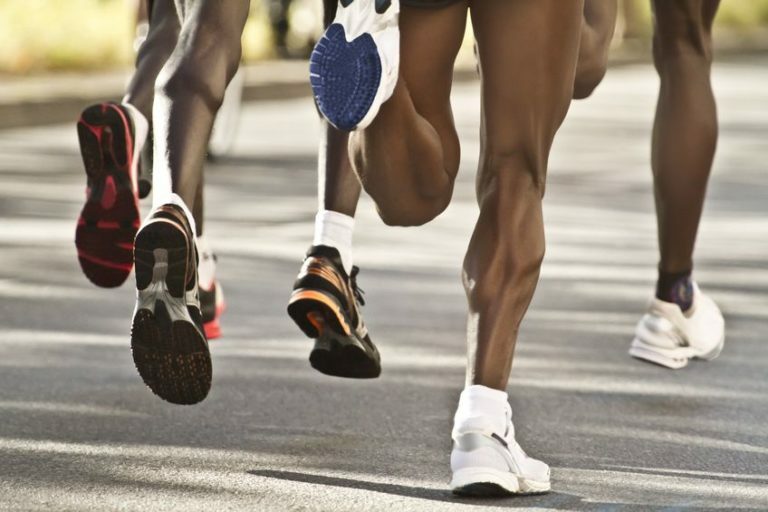 Using running shoes without the right “fit” for your foot can seriously affect your performance and in some cases, lead to serious injury. 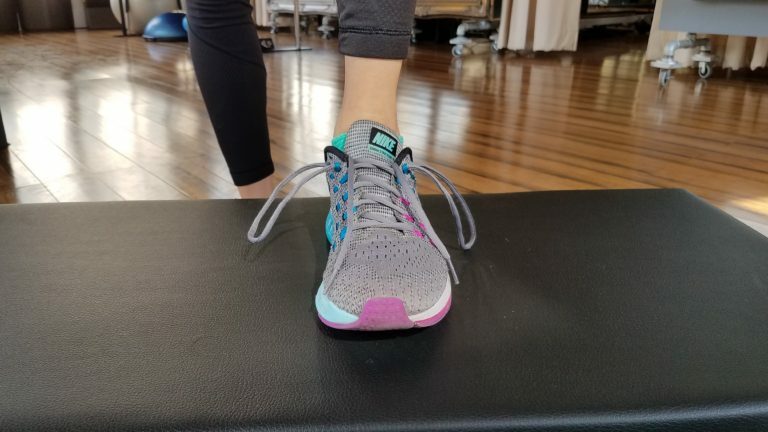 Physical Therapist, Dr. Sarah Whiteside, DPT, PT shares some advice on picking the right running shoes. Appropriate footwear is key to preventing injuries of the feet, ankles, knees, hips and even the lower back. Many New Yorkers and other people worldwide are gearing up for New York City marathon season, as well as returning to Fall sports. 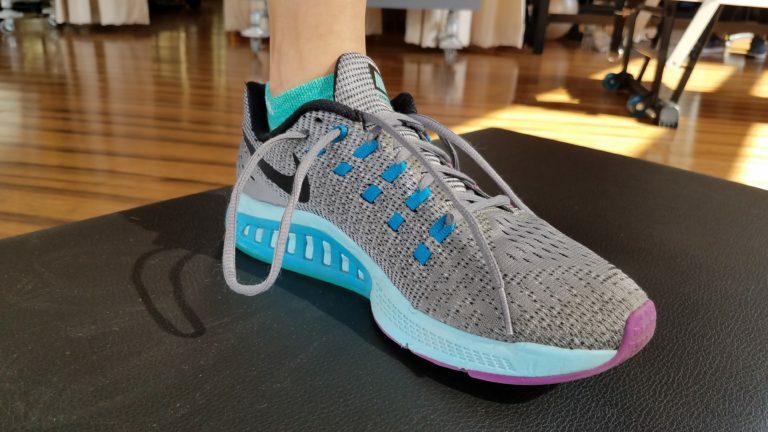 As a Physical Therapist I often get asked, “what’s the best type of running shoe?” There are so many brands and styles–how do you know what is right for you? The most important thing is that a shoe feels natural and comfortable when you walk or run, with a secure, fit and no heel slipping. I recommend going to a running store that has a treadmill to test out shoes. Take the time to walk and run in new running shoes, especially if you are trying a new style or brand. A safe bet would be comparing 5-6 shoes. Your body will tell you which feel best. Some people need more cushioning under the heel. Some need more support for pronation or supination. The way you tie a shoe can create support rather than buying a specific shoe for controlling pronation (see below). Some people may want to transition to minimal shoes or barefoot running. Regardless of your goals, here’s a great, quick checklist from the Institute for Physical Arts on Selecting the Proper Shoe. Assess how the shoe sits. Look at the back of the shoe. It should sit flat not angled. Forward and backward shoe rocking. Looking from the rear of the shoe, it should rock straight without tilting medial or lateral. Equal rocking forward and backward. From heel to toe when looking from the side. Toe balance. Push down on the toe and hold balance on toe while assessing the tilt, it should be even. Landing. Holding the heel up, allow the shoe to fall back to the table. Does it land flat or tend to tilt medial or lateral? How does the shoe bend? The entire shoe should bend equally, without breaking near the toe. Check your shoe’s rotation. The toe of the shoe should twist equally Left and Right. Step 1 – Have your shoelaces untied and on each side of your shoe. Step 2 – Locate the top hole of your shoe. Step 3 – Unlace the top hole of each side of the shoe. Then, make ‘rabbit ears’ on each side, looping the lace into the open hole on the same side. Step 4 – Lace each string through the opposite hole. Step 5 – Pull shoelaces to create anchoring loops. If you supinate, or hit the ground with the outer part of your foot when you run, you use the same technique as the video, but have the laces pull from the opposite side. Instead of putting more tension on the inner part of the shoe, you switch the laces so that the tighter pull comes from the outer laces. For inside support, tighten the medial lace more – if you tend to pronate or have dropped arches. For outside support, tighten the lateral lace more – if you supinate, have a very high arch, or tend to walk on the outside edge of your foot. If you buy a new brand or style for yourself, always start with shorter distances walking or running to “break in” your shoes to make sure they are not causing any problems. If you buy the exact same running shoe you always do and have no problems with them, there is no need to “break in,” you should be good to go! If you suffer from discomfort or pain, you can always come in for a physical therapy evaluation, and we will help you decrease potential injury and get you moving more efficiently! Here is a testimonial by one of our patients who learned that his running shoes were one the reason he was feeling pain during his runs. I can’t thank Dr. Whiteside enough for pointing out that my running shoes were part of the problem. I learned that the support shoes I was wearing weren’t letting the ball of my foot touch the ground fully to keep me moving forward properly. I learned that when you buy running shoes at the store, you should really get a medical professional to analyze your gait. By changing to neutral running shoes, I noticed a big difference with the way I feel after a run. A retail store employee won’t have the same knowledge as a physical therapist or chiropractor. They don’t understand all the underlying issues that could arise from a pair of shoes. I strongly suggest runners to visit Physio Logic before running long distance with new shoes. You can prevent a lot of damage in the future if you do. Dr. Robert and Julie Graham work in collaboration with Physical Therapist, Dr. Sarah Whiteside, DPT, PT at Physio Logic. Contact us to find out how we bring together various medical professionals in one integrative center to get you to your best health!